The New Mexico state cookie, an anise- and cinnamon-scented delight, is served at every December gathering short of a fast-food breakfast. Lori Delgado shares this scrumptious recipe, which began with Agnes Trujillo, a friend of her mother-in-law, Angie’s. 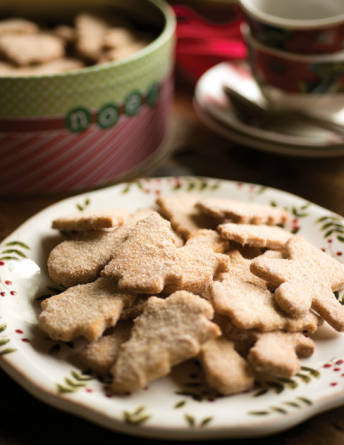 Whether you spell it biscochito or bizcochito, you’ll call these cookies wonderful. Sift together 5 cups flour, baking powder, and salt. While cookies bake, stir together topping ingredients. Transfer cookies to baking racks to cool.